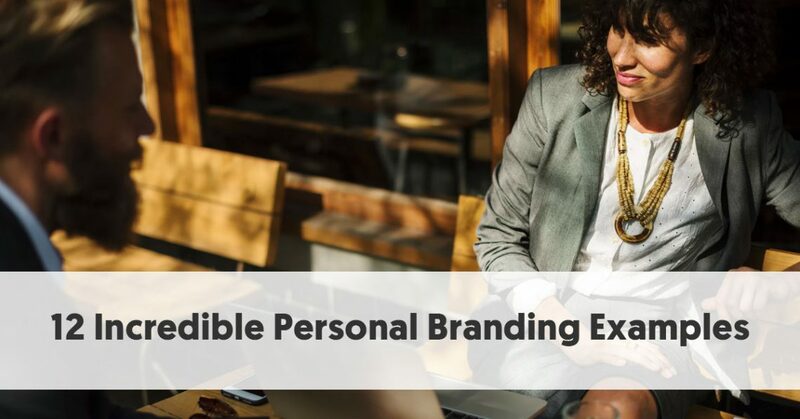 Personal branding is a crucial part of today’s business world. This is particularly so in the eCommerce space, where consumers often look for trust from a familiar face. There is a third category, where businesses rely solely on a celebrity influencer as the face of the company. Probably the most memorable case of this is the George Foreman Grill. This grill is made and sold by Spectrum Brands. Yet you never see that name in any branding. The company relies entirely on celebrity influencer, George Foreman’s personal branding to sell its products. We recently looked at what personal branding is. Here, we are profiling 12 personal branding examples. These are people who have learned the value of their name and therefore tend to their own name in their marketing efforts, rather than highlighting the name of their business. When you go to the Location Rebel website, it is clear whose website it is. This is very much the personal odyssey site of Sean Ogle. Indeed the first post that Sean made was his bucket list, and he has continued to update this ever since. Although Sean bypasses the use of an About page, you can learn all about his life from reading his posts. One of his recent posts is Hi, My Name is Sean, and in it, he shares 35 facts about himself. You don’t have to read long to discover that Sean is a 33-year-old entrepreneur, who blogs about how he manages to travel the world and lives the life he loves. Danny Iny is the founder and face of Mirasee, formerly Firepole Marketing. He is also a former student of another member of this list, Jon Morrow, and undoubtedly learned a few of his skills from Jon. Danny has always taken a hands-on approach to his company. It is notable that if you are on the company’s email list, you receive your emails from “Danny Iny,” rather than from “Mirasee.” He writes them all in a personable way, clearly from him (as Founder/CEO at Mirasee”). One of the reasons for this probably dates back to when he was star student on Jon Morrow’s Guest Blogging course. At that time, Danny set the record for most guest blog posts of anybody who had taken the course. These built massive recognition of his name, and he now has a byline on many of the world's top blogs. 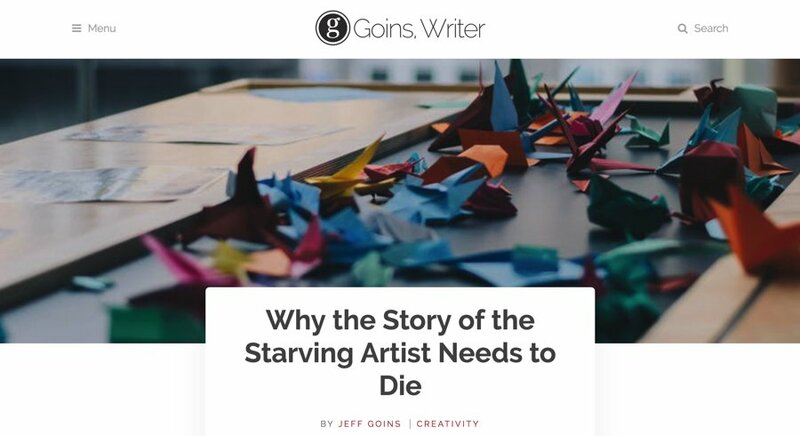 Maybe it is because I am also a writer, but I see Jeff Goins’ name virtually everywhere I look on the net. Beneath that om his home page he personalizes things even more with, “Hi, I’m Jeff. Can I send you something?”, and then asks to collect your email address. 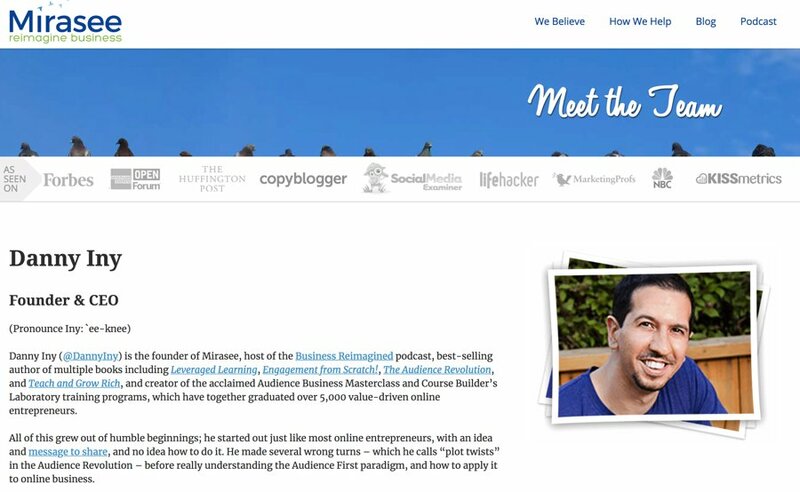 The site features testimonials from well-known bloggers and authors, Darren Rowse, Michael Hyatt, and Brian Clark. All three testimonials highlight Jeff’s writing. Inevitably, Jeff’s site and social channels, focus on Jeff’s books, most of which are about the writing and creative process. There even seems to be in congruence with his social accounts. When I went to Jeff’s Twitter account, I noticed that Michael Hyatt was at the top of Twitter’s suggestions for “Who to Follow” – the same Michael Hyatt who states that “Jeff Goins has become one of my favorite bloggers” on the home page of Goinswriter. 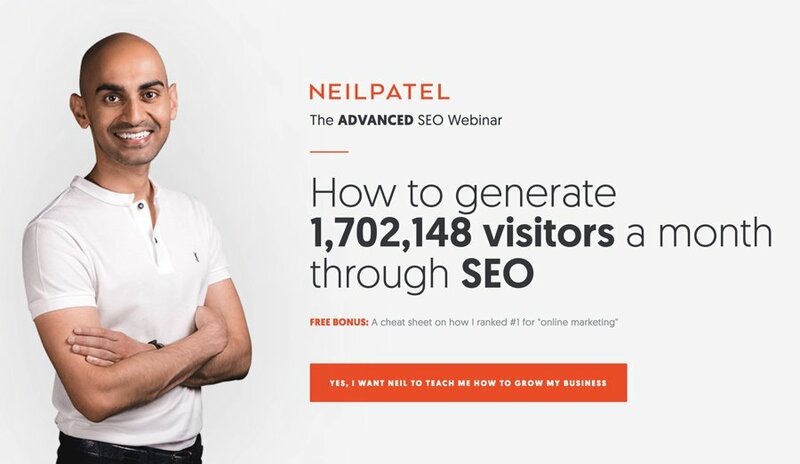 Neil Patel is a marketing guru whose face is all over the internet. He teaches how to market online by modeling his teachings. He has founded or co-founded multiple companies that provide services to online marketers and companies needing marketing assistance. These include KISSmetrics (an analytics platform that tracks who visits your website), Crazy Egg (an analytics software that allows website owners to see what visitors are doing when they visit your site), and Hello Bar (a service that helps you collect email addresses from your website). He is now the CMO and Co-Founder of Neil Patel Digital, an agency that aims to help the world’s top companies exponentially grow their traffic. Apart from anything else, however, Neil Patel is the king of blogging about online marketing. He has written in-depth blog posts on a daily basis for many years now, most recently on his self-named site, Neil Patel. Neil’s posts are thorough, well-researched and usually backed up with evidence from his own experience. Neil is very much the front man of his companies. He even has a cartoon picture of his face as the favicon for the Neil Patel website. That site consistently uses orange as its main accent color, and he continues with this throughout all of his social presence. Gordon Tredgold teaches companies and individuals simple, powerful and proven leadership techniques that deliver amazing results fast. Indeed he calls his approach to leadership FAST, which he describes as encompassing four principles every business needs to achieve success and drive results. 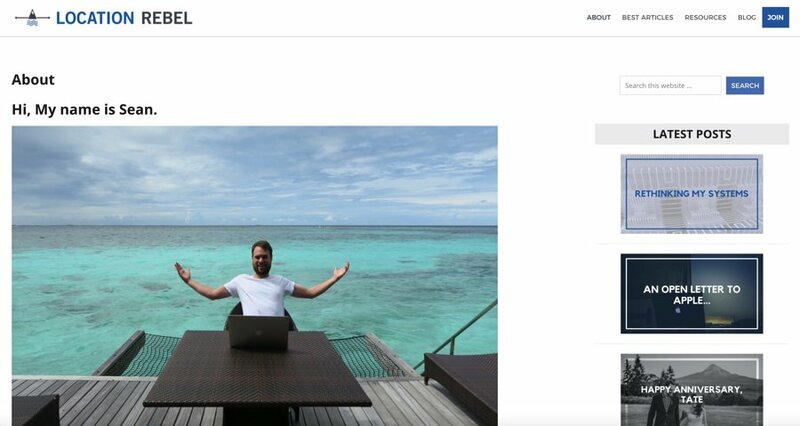 Gordon promotes his whole business around his own persona – to the point that he names his website after himself, gordontredgold.com. The main image on the site above the fold shows Gordon speaking, Most of the videos on the site show Gordon explaining some facet of leadership. Similarly, the blog posts are all written by Gordon and are his opinion pieces on aspects of leadership. Gordon has a strong social presence and is very much an influencer in the leadership niche. Again he points consistently, and in line with his personal branding image. Gordon has clearly understood that anybody who bases their personal brand on being a leadership expert, needs to be able to provide evidence of leadership expertise. He highlights his own leadership strengths and experience on his website About page. Jon Morrow has built a reputation over the last decade as being the Mr. Blogger of the internet. He rose from humble beginnings and a severe disability to become one of the world’s most successful bloggers. And although he doesn't use his name as the title of his blog, he has still managed to build a personal brand from his writing. Jon was diagnosed with spinal muscular atrophy (SMA) as a child. This means that he can scarcely move any muscles. As he stated in one of his blog posts, he should be dead by now – most people with SMA don’t survive very long into adulthood. Yet Jon was not prepared to let his disability slow him down and stop him from living his dreams. He decided to blog and tell his story. He found success while working for Copyblogger. One of his jobs there was deciding which blog posts to accept, and he read thousands of them. He learned what worked and what didn’t. He would write upwards of 30 titles for each post, again learning what attracted an audience. From this, he built up his own site, now called Smartblogger. That site, and the various courses he runs bring him over $100,000 per month. Although Smartblogger is now a team effort, Jon Morrow has clearly built a personal brand. He has guest blogged across the net, making a name for himself. He is active on the same social media channels as his readers spend time. 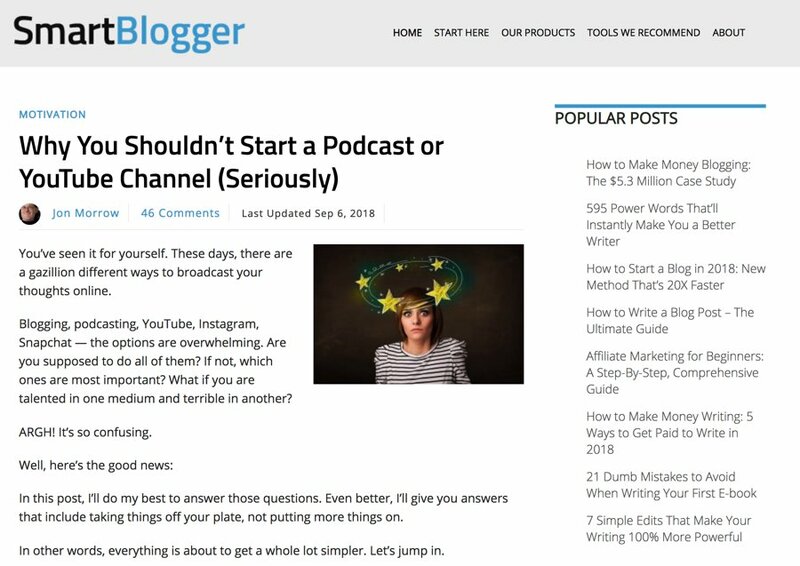 A guest post that Jon wrote for ProBlogger is their most read post. Mark Manson is a self-help author, blogger, and entrepreneur. Like many on this list, he understands the importance of his utilizing his name. His website is markmanson.net, and it focuses on how Mark (personally) can help you. Mark built his whole persona on being straight-up and to the point. His site is not for the easily offended. His most successful book (which made the NY Times bestselling list) is called The Subtle Art of Not Giving a F*ck, and he uses the unedited version of that title whenever he discusses it online. His work is sufficiently popular for him to have a Subscribers only section, with in-depth blog posts available only to those who pay. Mark keeps a consistent brand image. His regular readers could probably recognize his writing even if he didn’t use a byline. His posts are long, in-depth, irreverent, and above all inherently honest. Carol Tice is a freelance writer who has reached the pinnacle of her profession. Not only can she command impressive prices for her writing, but she teaches others how to succeed in the industry. 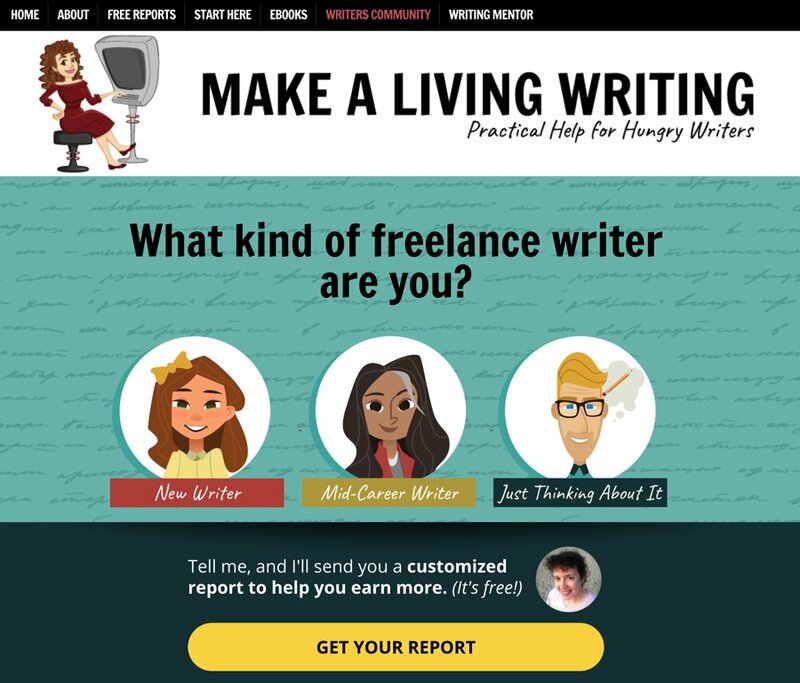 Her main website, where she provides help to prospective and struggling writers is Make a Living Writing. The site’s logo shows a cartoon image of a woman (probably Carol, herself) sitting at a computer, ready to write a masterpiece. Carol also has a self-titled website, Caroltice.com, which she uses as a portfolio site for potential clients who want her to write for them. She has also set up a writer’s community, called The Den, which provides training to help writers improve their skills, as well as a forum for writers to network with each other. Carol is consistent with her personal branding. She uses the same headshot across her websites and social media. Her copy focuses on her skills and provides evidence of ways she can help you, whether you are an existing writer, or somebody wanting to write. She also publicly advocates for writers and pushes against the content mills who underpay and mistreat writers who don’t know that there are better gigs available. Seth Godin is probably helped by having a distinct appearance. He could never be thought of as a gray man who could melt into a crowd. He has built up a reputation as a business and marketing expert over the last 25 years. In that time he has published more than 20 books, usually with quirky, thought-provoking titles, such as Purple Cow: Transform Your Business by Being Remarkable and Meatball Sundae: Is Your Marketing out of Sync? Purple Cow sold over 150,000 copies in more than 23 print runs in its first two years. Seth has become one of the world’s most influential marketing experts. And it is Seth that people want to hear from – not some company or organization. Seth has established himself as the master of short blog posts. At a time when most people aim for 2000-word long-form blog posts, Seth writes small gems of about 200 words. He writes in a distinctive style which is succinct and to the point. Each post pinpoints a single idea. Indeed Seth Godin’s personal branding is so strong that his name has now become synonymous with a short post. I have heard editors say, “Only Seth Godin can get away with that” when they believed that a post was too short. Lolly Daskal is a coach, consultant, and speaker, focusing on global leadership and consulting. She is a highly sought after executive leadership coach and business consultant. She is also has a robust social media presence, sharing her own material along with thought-provoking sayings and articles relating to all aspects of leadership. Her posts all follow a set style, to the point that you could tell a Lolly Daskal tweet even if you couldn’t see her name. Lolly guest blogs and write columns for many prominent business publications, including Forbes, Business Insider, Fast Company, Harvard Business Review, and Inc.
Lolly Daskal is an advisor to Fortune 500 CEOs and boards. She speaks to business and organizations around the globe about personal and professional growth. 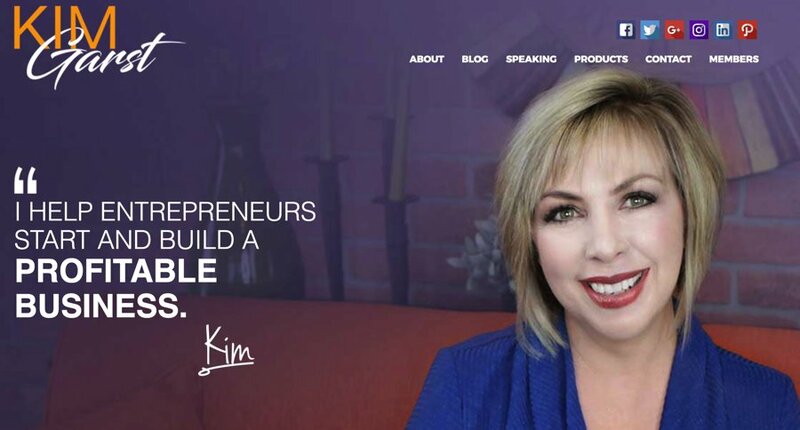 Kim Garst is another marketer who has recognized the importance of using a consistent persona online. Her particular strength is social selling. She founded and helmed Boom! Social, a social selling training and consulting firm, before selling her interests in it recently. There is no doubt that Kim is the center of her website. She heads the About section “Who is this Gal?” and makes her accomplishments clear. As Kim’s expertise is in social selling. It should be no surprise that she has a clearly-defined presence on her own social media accounts. She posts frequently, and her posting style is distinctive and consistent. Kim also enjoys speaking to an audience, and readily takes on public speaking requests. This list would be incomplete without including the lady of personal branding – Oprah Winfrey. She is one of the few people in the world who everybody knows just by the mention of her first name. Oprah clearly knows her personal branding well and has managed to capitalize on it in ways that few others have accomplished. This has helped her live her dream life, and get paid to do it. There is now considerable equity in the Oprah name. And she has managed this by challenging people to get the best out of themselves; to reach their full potential. Oprah has managed to leverage her personal branding to enable her to become a billionaire. But personal branding has a broader meaning for Oprah. She has discovered that she can use her branding to help change people's actions. She gives the example of a woman who watched Oprah's show. After seeing Oprah deliver the same message in three episodes, this woman was convinced to stop hitting her children. She heard Oprah give a consistent message multiple times, and eventually came to agree with what Oprah had said. Oprah sees that there are two critical parts of her personal brand. One is the need to be consistent. If people consistently see her act in a certain way, it makes them think, and in turn, alters how they act. But allied to this is the need to be true to your intentions. She believes intention plays a crucial role in effective branding.